The Himalayas offer an abundance of experiences from yoga and meditation, to festivals and hiking and so much more. Surround yourself in truly stunning landscapes whilst engaging in an array of activities and experiences. Let us share with you what to expect on your unforgettable Himalayan journey. The Himalayas offer perhaps the perfect location for yoga as well as meditation. With the most spectacular natural surrounds, there’s nowhere else in the world that offers such beauty and remoteness. There’s a range of yoga and mediation tours available; taking you through to beautiful retreats tailored to provide you with a rejuvenating spiritual experience through the Himalayas. Taking place in Ladakh, one of the most popular festivals is the Hemis Festival. Held over two days, it celebrates the victory of good over evil. Dedicated to the birth of Buddhist Lord Padmasambhava – the founder of Vajrayana Buddhism in Ladakh, Hemis festival is celebrated on the 10th day of the Tibetan lunar month. Celebrated throughout the Lahaul district of Himachal Pradesh, Halda, brings in the New Year by paying tribute to Shashikar Apa, the goddess of wealth. Festivities take place over two days and include musical acts, bonfires, dancing, as well as a delicious feast. A three-day festival celebrating the Tibetan New Year, Losar is one of Buddhism’s biggest festivals in Himachal Pradesh. Celebrated according to the lunar calendar, the date varies each year but the festivities remain the same. Celebrated by worshipping the local deity of the monastery to bring peace, happiness and good fortune for the coming year. One of many festivities includes impressive musical performances featuring elaborate masks and costumes as well as dancing and singing. Situated in Bhutan, the Tiger’s Nest (Taktsang) is said to be one of the most sacred sites in Bhutan; where Guru Rinpoche, also known as Padmasambhava, appeared roughly 1,300 years ago on the back of a flying tigress. Finding shelter in a series of caves, he meditated for three years then set out to convert the Bhutanese to Buddhism. First constructed in 1692, the monastery features multiple renovations with major reconstruction in 2005 after a fire devastated the site in 1998. Located at the top of a hill in the Spiti Valley of Himachal Pradesh, the Ki (or Key) monastery is said to be one of the oldest and largest in the area. Also a religious training centre for lamas, the monastery houses and educates roughly 300 lamas. Believed to be over 1000 years old; over the years the monastery faced countless devastations including attacks by Mongols in the 17th century as well as earthquakes and fires. Despite the damages and with many renovations, the monastery stands tall atop the hill. Furthermore, the Himalayas feature countless other striking monasteries including, Thiksey Monastery, Dhankar Monastery and Hemis Monastery. The Himalayan region is perhaps the best in the world for hiking as well as trekking. It has 8 of the 14 highest summits in the world that exceed an altitude of 8,000m, including Mount Everest (8,848m). You can trek at anytime throughout the year, depending what route you choose to take. The most popular times are Spring (February – May) and Autumn (September – November). Within Nepal, our favourite trekking regions are the Annapurna Region, the Everest Region and the Langtang Region. Popular treks in the Annapurna Region include the Annapurna Circuit, the Kali Gandaki Gorge, the Annapurna Sanctuary Trek, the Jomsom Trek and the Muktinath Trek. 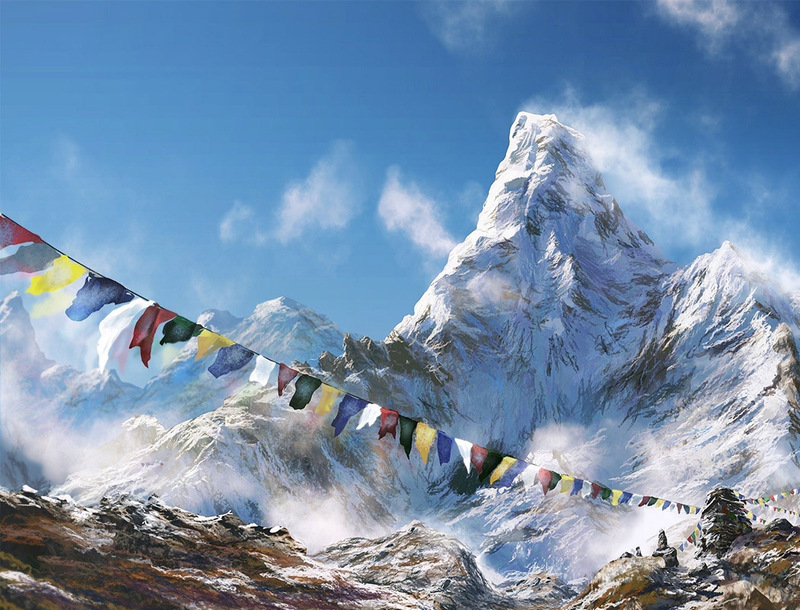 The highest peak in the world, Everest, offers a range of different routes; trek to the top of the summit and back down, or trek the top and fly back or fly to the top and fly back. Common treks include, Kosi, Namache Bazaar and Phaplu. Situated north of Kathmandu, the Langtang region offers three fairly short but exciting treks: Langtang, Helambu and Gosainkund. For more information on these treks and to book, contact India Tours and Travel Specialists. The Himalayas offer a range of exciting adventures that open your eyes into the spectacular natural beauty and history as well as the riveting culture of one of the world’s most beautiful regions.